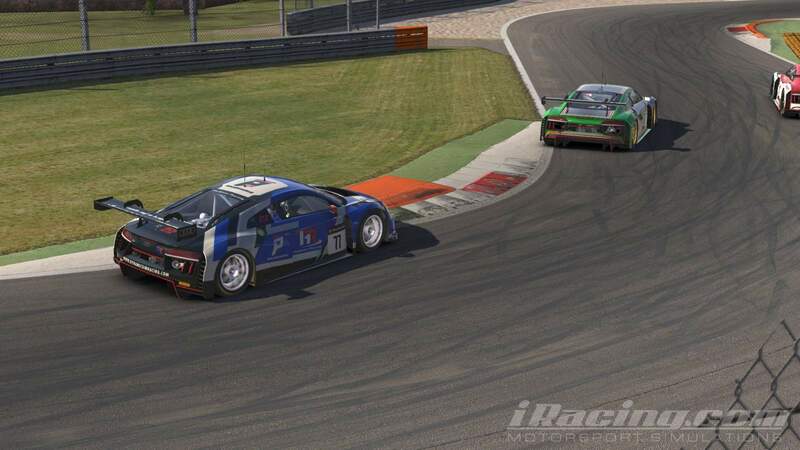 The last two weeks Hellenic Racing has experienced the new components and surprises (new cars) of iRacing. We managed to participate in several and different type of races, but mainly in IMSA and Blancpain Series. 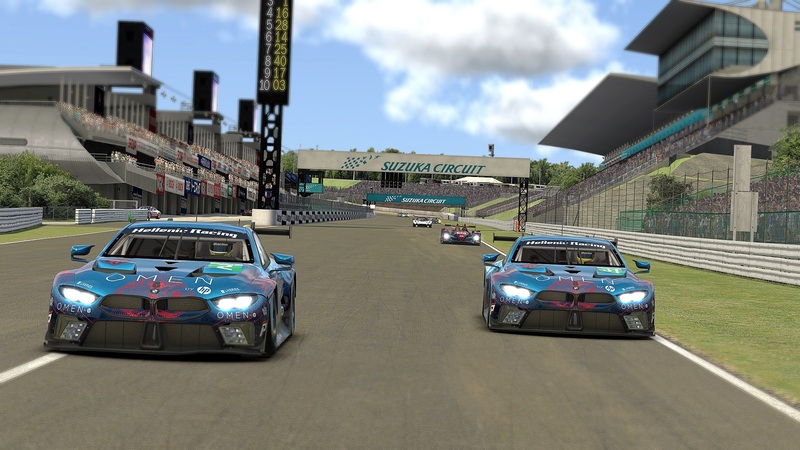 Our team members participated in dozens of races and in the most of them we managed to be on the podium by fighting for each meter and position. At the end of the day, it is not how many points you earn but the gained outcome in terms of experience and development of our skills in different types of cars & tracks. 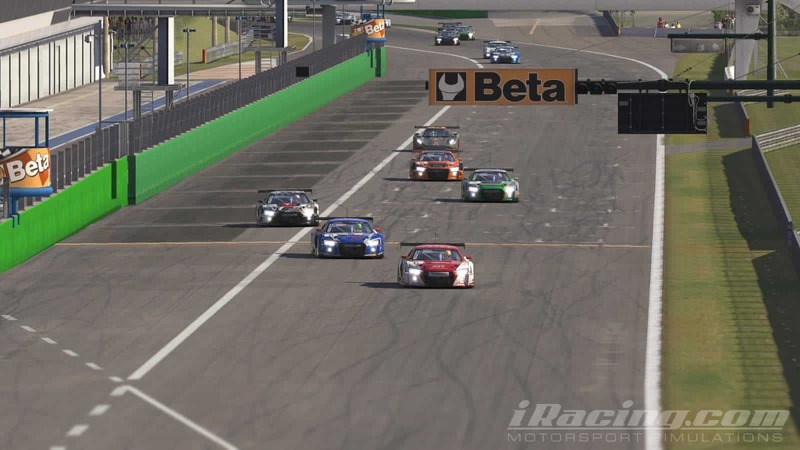 Out of all the recent races, we would like to spend some extra ink for the latest MundoGT League race. On Saturday the 24th we participated on the 7th Mundo Race that took place in Monza. For this specific race, A. Perrs, N. Kiosoglou and P.Vezirtzoglou split the 6 hours of the race, with A. Perrs driving the Audi R8 LMS for four hours in total. During the qual N. Kiosoglou manage to position the car on P8 while A.Perrs started the race by overtaking two opponents and held the P6 for almost the whole first stint. For those of you who are familiar with the Audi R8, you know how “untamed” car is. 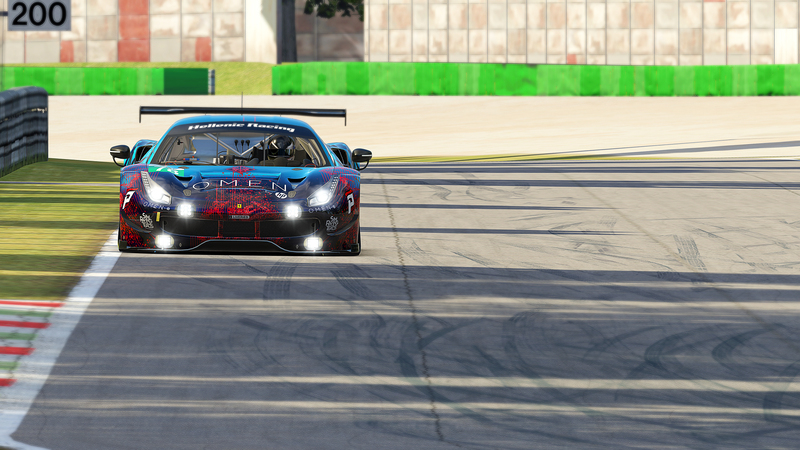 In one of those moments whilst exiting the Ascari chicane we show the “back” of the car leading the front. That cost us 2 places but thankfully the car was running well. By nature, when you are falling behind you drive more aggressively to gain the lost time and places. Unfortunately this time cost us even more and we lost further more places and time. On top of that, during the first pit stop, where N. Kiosoglou took over, technical issues hit us and we drove into the pits again to change driver. For the next 4.5 hours we switched to “qual” mode trying to avoid any mistakes. The last 2.5 hours of the race, or to be more accurate, the last fifty minutes, were quite intense and our only view was the bumper of the Pit Demons’ car. 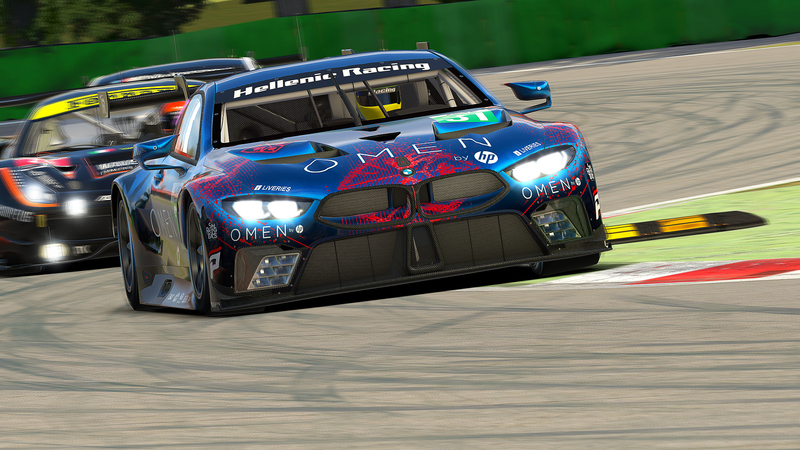 We changed positions several times, we exchanged some friendly (Race Incidents) touches but the consumption of the Audi forced us to get in the pit before the last lap for taking just a splash of fuel. Thankfully we did not lose any further positions and we crossed the finish line in P13. All in all, it was a great race and a great representation of the team from Andy, Nestoras and Pavlos. There is one more point that we would like to mention before we wrap up regarding N. Kiosoglou. Nestoras is the driver with the highest iRating in the team and the one that has the difficult job to do the qualification in most of the team races. Nestoras managed to finish second in IMSA championship at the 2016 S3 season. In terms of numbers he conquered fifteen pole positions, won fifteen races out of 36 and gather 1154 points in total! Well done Nestora, we are proud to have you on board as a team member.